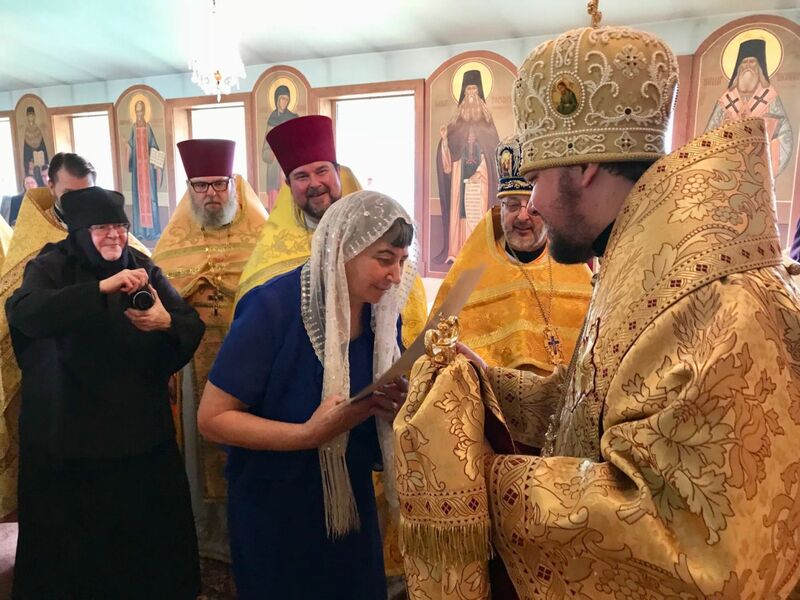 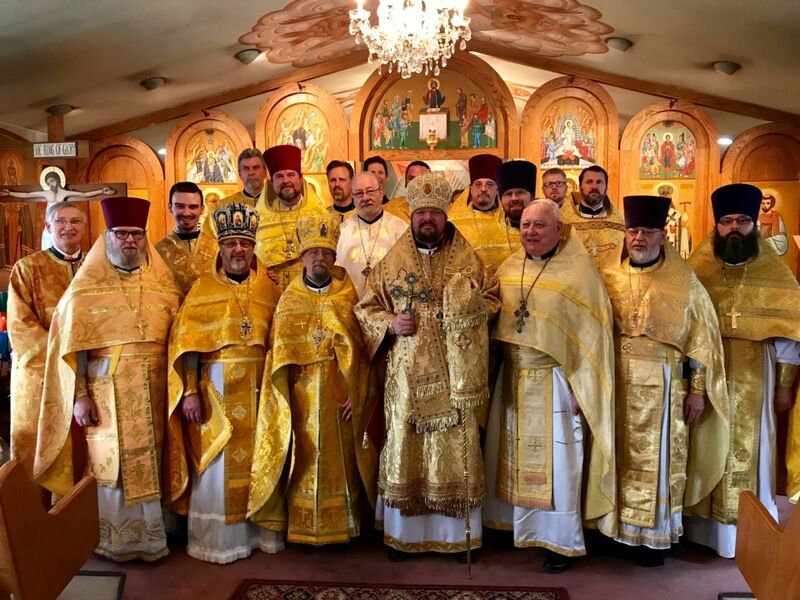 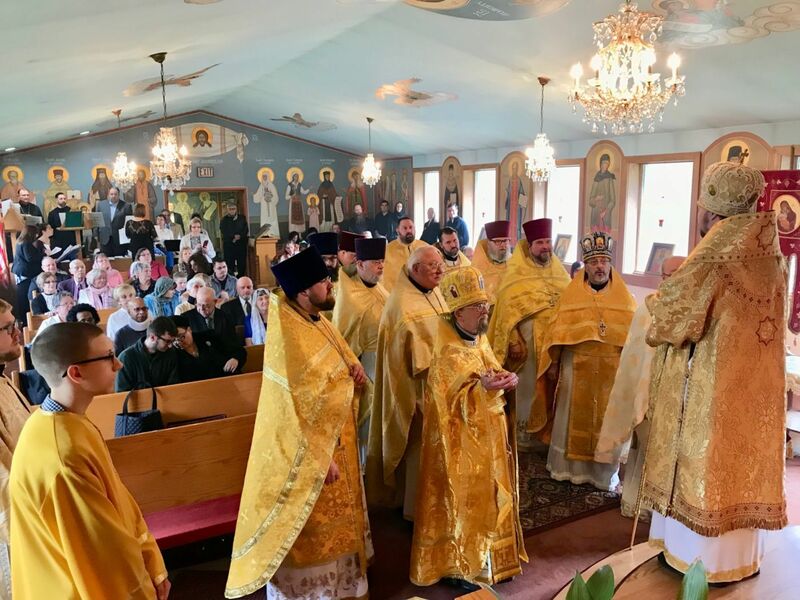 On Saturday, October 28, the Administrator of the Patriarchal Parishes in the USA, His Grace Bishop John of Naro-Fominsk, led the Divine Liturgy in St. Innocent Church in Redford, MI. 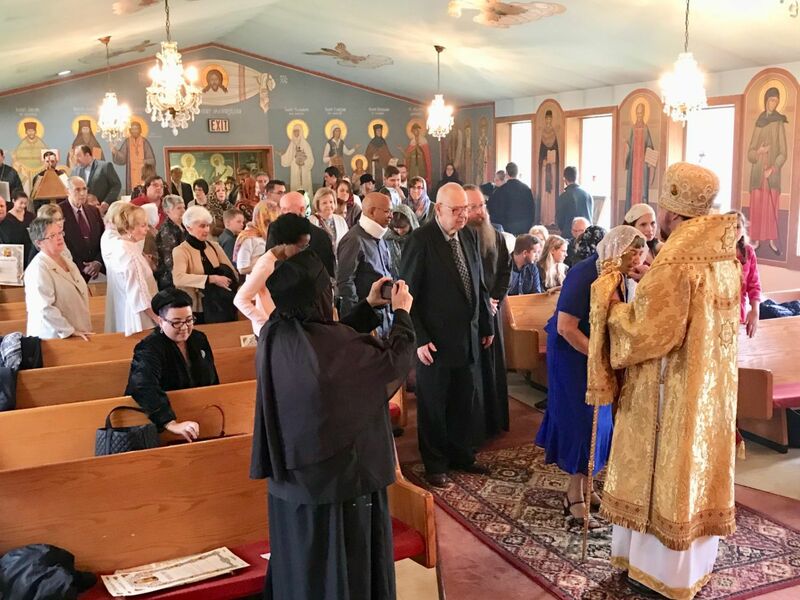 The Divine Liturgy was the culmination in a year's worth of celebrations commemorating the 50th anniversary of the parish's founding. 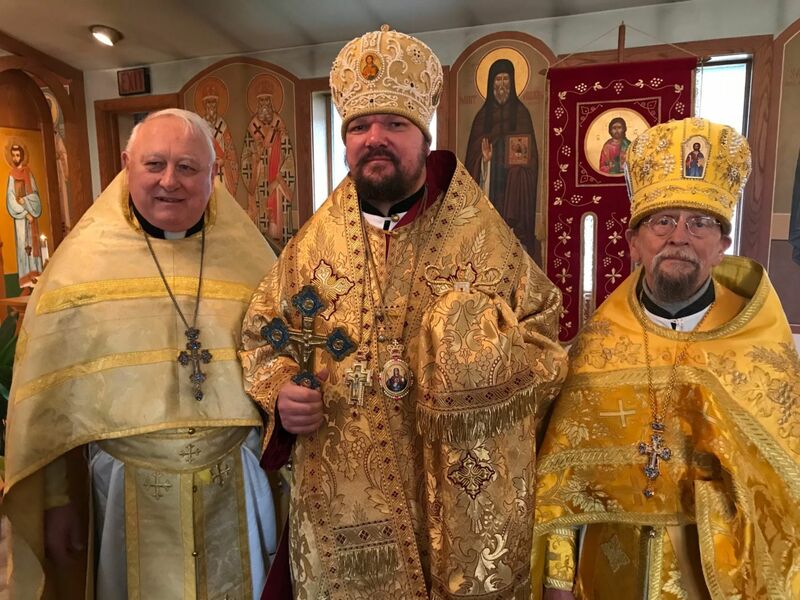 His Grace was co-served by parish rector and Dean of the Central States, Archpriest Roman Star; Archpriest Igor Burdikoff, founder and first-rector of the parish; clerics of the Central States Deanery and neighboring parishes. 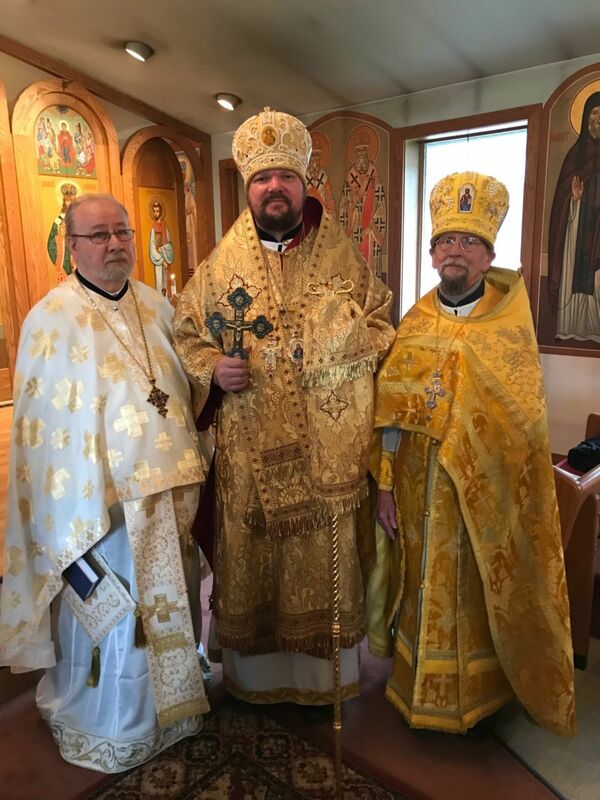 At the Small Entrance, Priest James Anthony, rector of St. John Chrysostom Church in Grand Rapids, MI was awarded the right to wear the gold pectoral cross for his dedicated service to the Church. 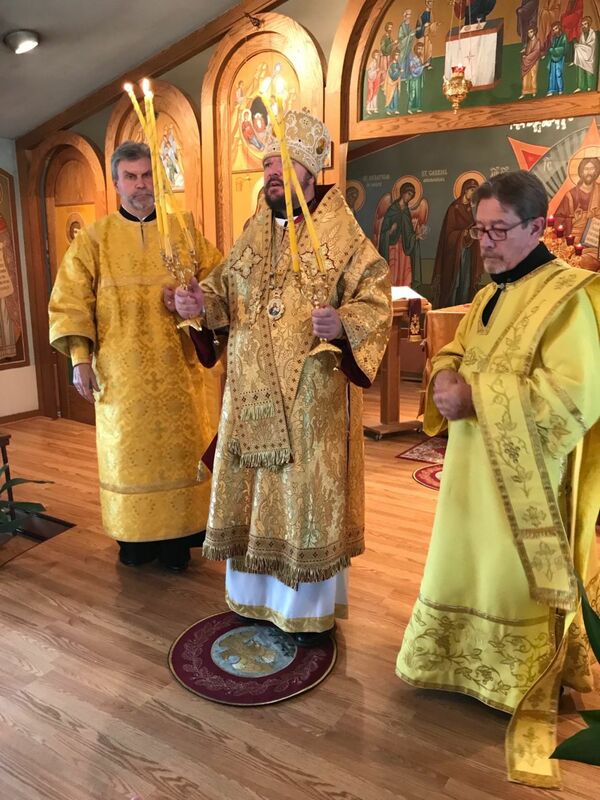 At the conclusion of the Liturgy, Bishop John greeted the rector, clergy and faithful and congratulated them on their momentous anniversary. 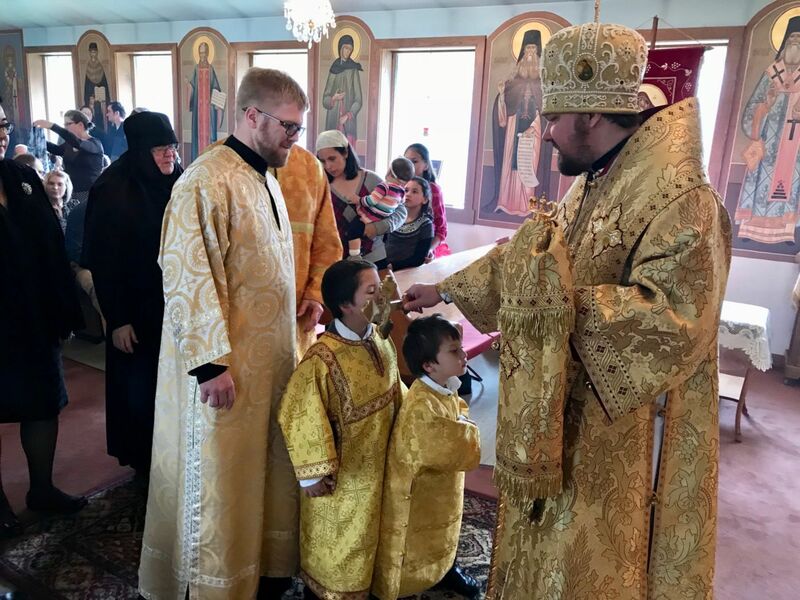 Many spiritual children of Fr. 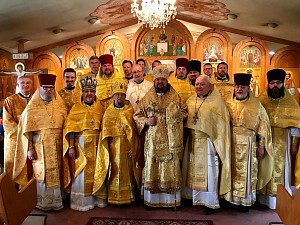 Roman Star, after completing theological education have become clergyman in other parishes of the Patriarchal Parishes. 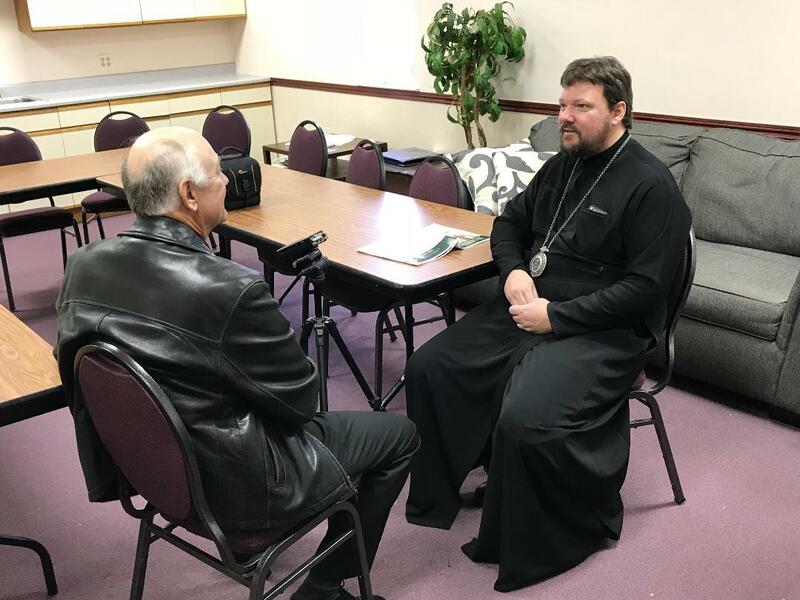 Bishop John also presented a number of parishioners with Archpastoral Gramotas. 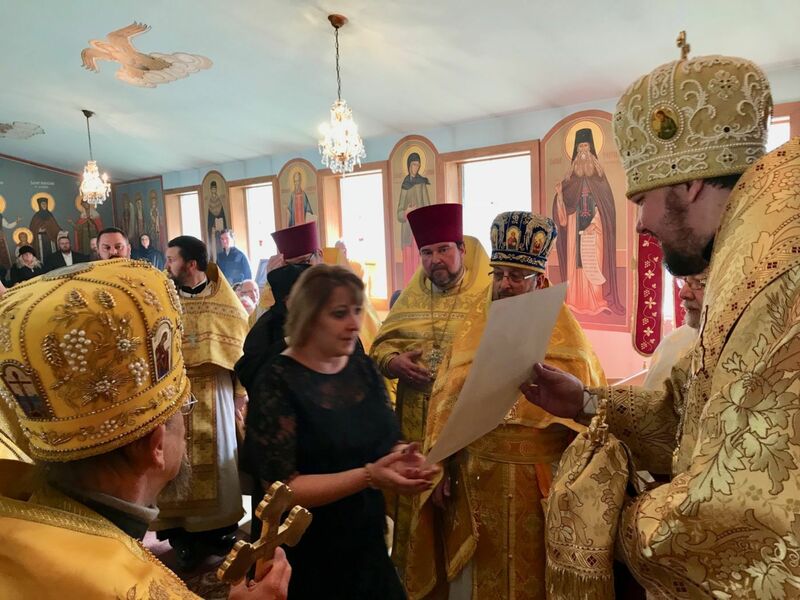 Interaction between the archpastor, clergy and parishioners continued during a festive banquet honoring the parish. 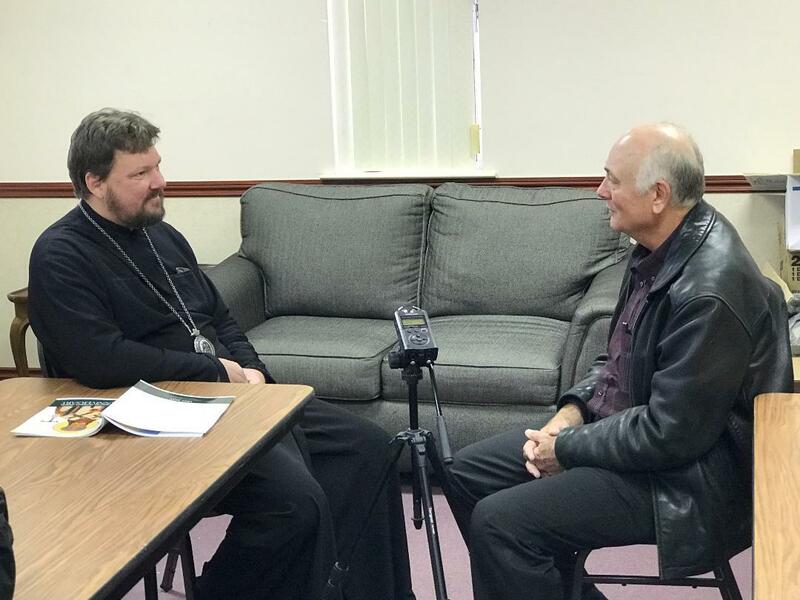 Later in the day, Bishop John gave an interview to a correspondent for the local Orthodox radio station "Detroit's Own Orthodox Radio (DOOR)" and discussed life in the Patriarchal Parishes in the USA. 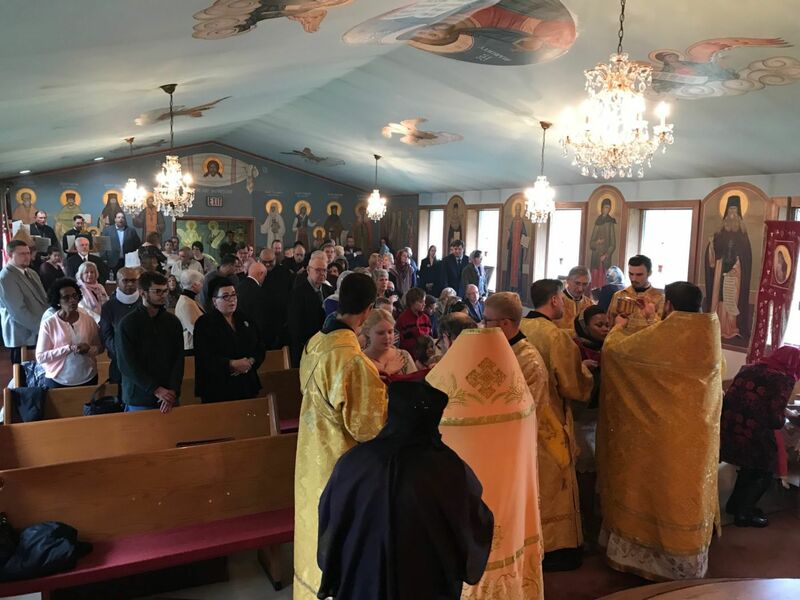 New photos and additional information can be accessed on the parish website.